I was given an electric kettle for my birthday present by id:naoya, one of my former managers and working for GREE now, today. I added it into my wishlist some months ago and he thankfully picked it up and sent it to me. Many thanks to naoya-san! !1 He's a real man. I found electric kettle is much more convenient than I expected before. 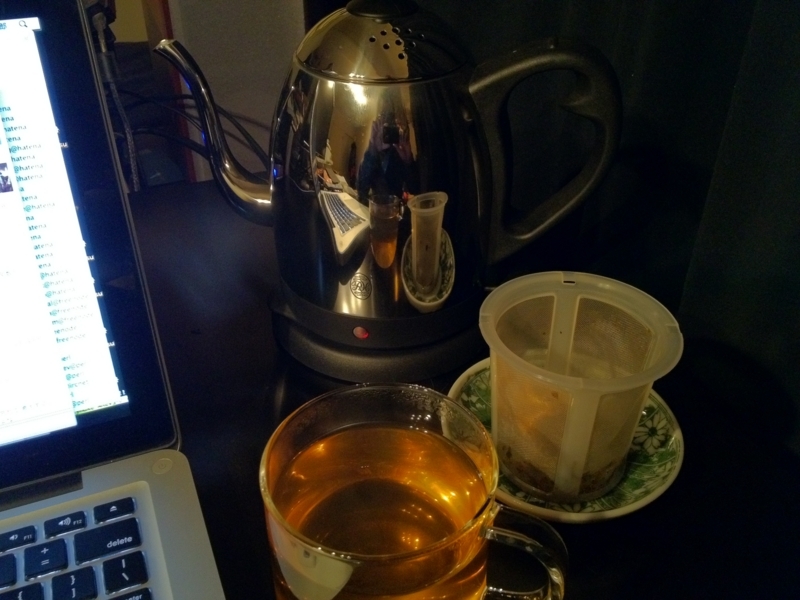 Using it, I can drink many cups of hot tea, just being in front of my desk and working on something with computer without leaving there to bring the water to a boil. That's exactly life-changing! !1 It's been getting colder and colder these days. I seem to be able to manage to do with this harsh winter in Kyoto. Here's my desk on which my new equipment for tea is located. Suddenly, I got urged to cook おでん and went to a supermarket to buy some ingredients. Boiling them, I read some parts of Jobs book, which Jobs was going to be ousted from Apple. Macintosh had been released with big applause at first and gradually turned to be not successful as expected. A-players who accomplished making Mac with Jobs began to leave the team, and, finally, Jobs himself was forced to do. It made me sort of sad in spite of his big faults. Then, I finished cooking and ate a little. It was good as usual. 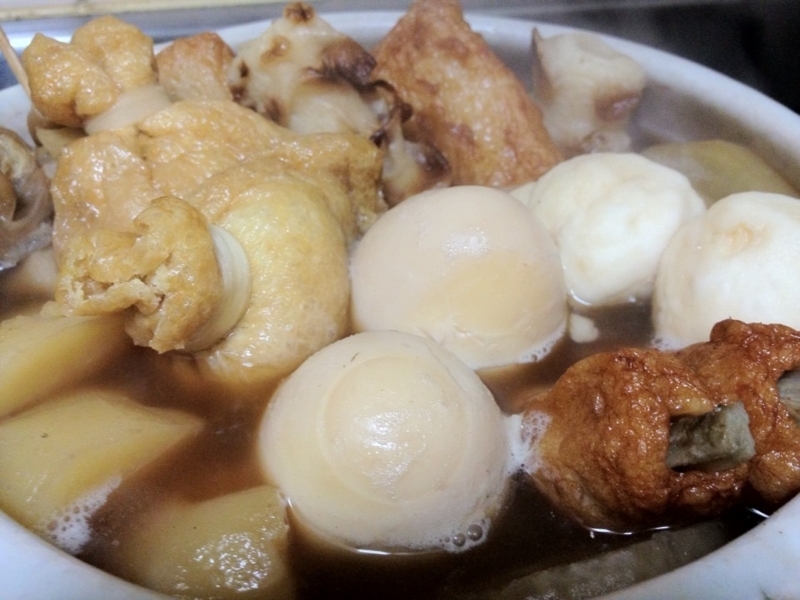 おでん is easy to cook and definitely becomes delicious. I love it!